Pride and Prejudice captures the affections of class-conscious eighteenth-century English families with matrimonial aims and rivalries. This story of the Bennet family and the novel's two protagonists, Elizabeth Bennet and Mr. Darcy, is told with a wit that author Jane Austen feared might prove "rather too light and bright, and sparkling." The romantic clash between the opinionated Elizabeth and her proud beau, Mr. Darcy, is a splendid performance of civilized sparring. 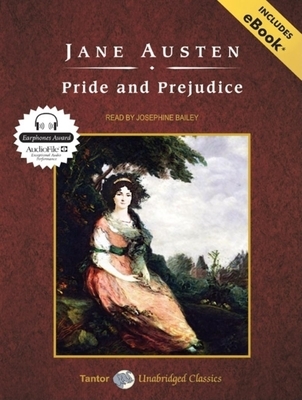 Austen's artistry is also apparent in the delineation of the minor characters: the ill-matched Mr. and Mrs. Bennet, Charles Bingley and his sisters, and particularly the fatuous Mr. Collins, whose proposal to Elizabeth is one of the finest comic passages in English literature. Austen's radiant wit sparkles as her characters dance a delicate quadrille of flirtation and intrigue, making this book the most superb comedy of manners of Regency England. Jane Austen's delightful, carefully wrought novels of manners--"Pride and Prejudice" and "Emma" among them--are those rare books that offer us a glimpse at the mores of a specific period while addressing the complexities of love, honor, and responsibility that still intrigue us today.